Milledgeville is known for its enormous historic homes, southern charm and adorable downtown area, but what also comes to mind for many are the lazy days on Lake Sinclair. Especially for the fisherman who love to take a trip down to Milly for those famous Bass and Catfish. The lake covers more than 14,750 acres and your best bets are Largemouth Bass, Crappie, Hybrids, Catfish and Striped Bass. Here is your guide to fishin’ types on Lake Sinclair. Your mornings will start out early when the sun is rising, the water looks like glass and you can see your reflection on the water. In your charming fishing boat, or your kayak, you feel the rock of the water and you can almost feel the fish swimming underneath. You could stay out on the water all day, and you just might. 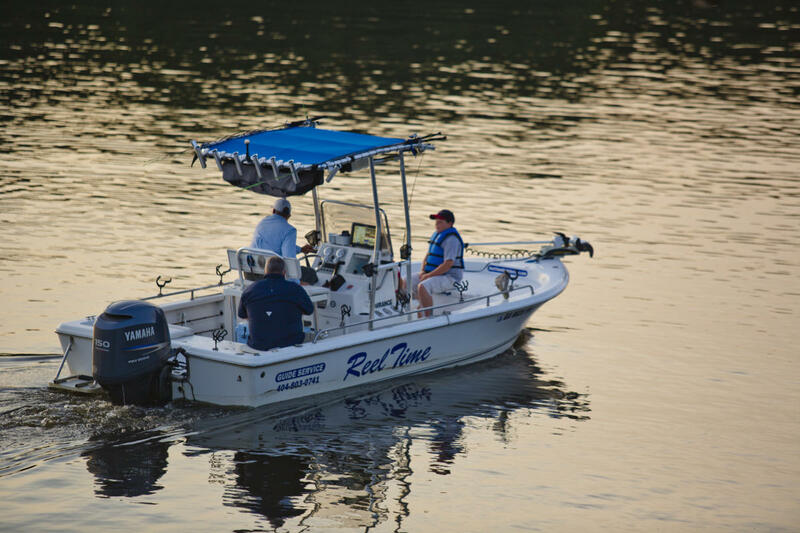 If you don’t already know the relaxing feeling of fishing, Lake Sinclair Marina has fishing guides that will show you the ropes, and all of Sinclair’s secret fishing spots. You can take a 4, 6 or 8 hour trip with expert fishing guides who have won numerous fishing tournaments. If you are looking for a little more action, Lake Sinclair has a T-H Marine BFL on June 10, 2017 from 2-5 p.m., but you probably already knew that. The last day to register is June 6, so grab your gear and get ready for your favorite time of the year in Milledgeville. 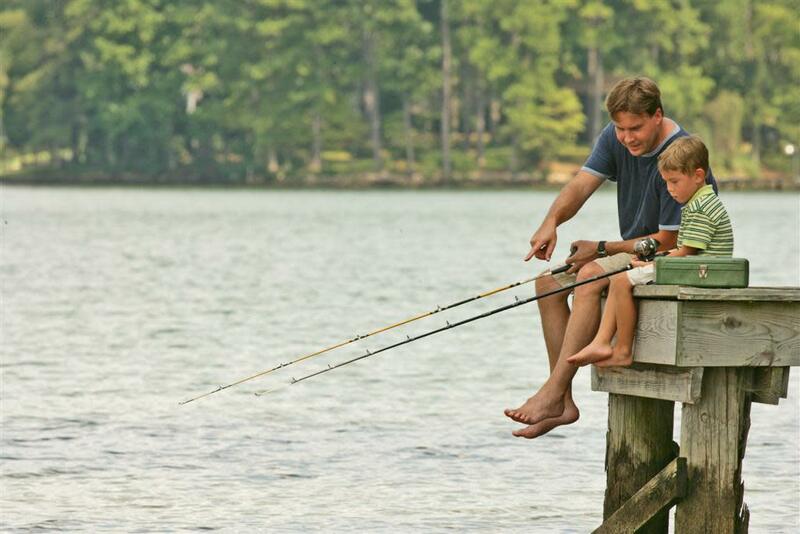 You look forward to taking your kids fishing, just like your father did for you as a child. Carrying on the family tradition will be the highlight of your summer. You can even take a family fishing lesson from Sinclair Marina’s “On the Water” training package with Matt Henry, local youth fishing instructor. No matter what your level, fishing on Sinclair is a great way to relax and have some great you-time. So get up early, watch the wildlife and catch some dinner on the beautiful Lake Sinclair.